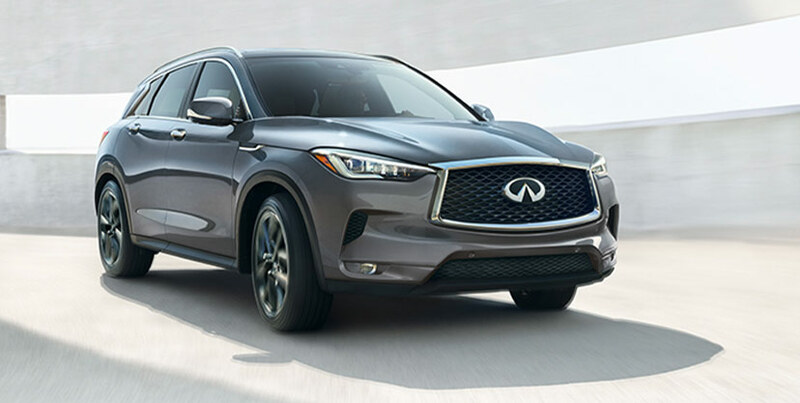 The completely redesigned 2019 INFINITI QX50 is the crossover SUV to choose. It outclasses competitors like the 2019 Audi Q5, Acura RDX and Lexus NX 300 in 3 essential ways. Discover them here, then head to Zeigler INFINITI of Orland Park to experience the QX50 for yourself. Inside the supremely comfortable interior 2019 INFINITI QX50, you’ll find designer touches like semi-aniline leather-appointed seats, striking Ultrasuede accents and open pore Natural Maple Wood trim. You’ll also find more room for the things that matter. For example, the QX50 features more rear legroom for your passengers than the Audi Q5, Acura RDX and Lexus NX 300. The QX50 also features more cargo space than all 3 competitors as well – up to 10 cu. ft. more. Just because you’re driving an upscale INFINITI doesn’t mean you like to waste money. The 2019 QX50 is the clear favorite when it comes to gas mileage. It can generate an EPA-estimated 24 MPG on the streets of Orland Park and 31 MPG on the highways of Illinois. For comparison, the Acura RDX and Lexus NX 300 can also produce 22 City/28 Hwy MPG while the Audi Q5 brings up the rear with only 22 City/27 Hwy MPG. 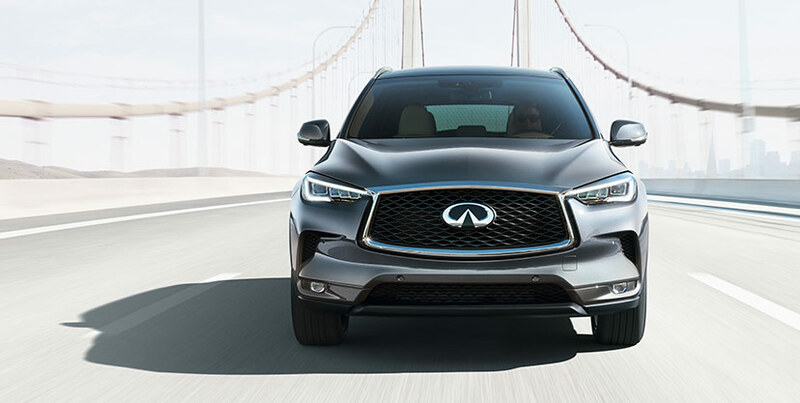 The innovative technology of the 2019 INFINITI QX50 empowers you to accomplish more than you ever dreamed possible. 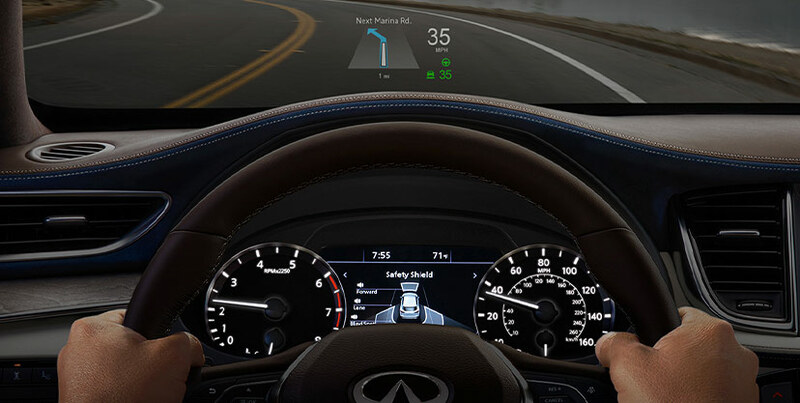 Start with the available INFINITI ProPILOT Assist, a package of driver-assist technologies including head up display and assisted distance and braking controls that allow you to drive with less stress and more pure enjoyment. Needless to say, you won’t find INFINITI ProPilot in a Lexus, Acura or Audi. When it comes to infotainment, your QX50 has you covered with push button ignition, power rear liftgate, SIRIUSXM® satellite radio, Bluetooth® hands-free calling. The QX50 also features a CD player/MP3 decoder, which the Acura RDZ and Audi Q5 do not. These 3 important reasons only scratch the surface. Once you drive the all-new 2019 QX50, you’ll discover why it really has no competition. Here’s one more reason – the QX50 offers you a better warranty than the Audi Q5, Acura RDX and Lexus NX 300. You’re covered for 60,000 miles to their 50,000 miles. Test-drive the QX50 today at Zeigler INFINITI of Orland Park. We’re located at 8751 W. 159th St. Call us at (708) 304-0149 or click here to learn about Zeigler INFINITI, our stunning lineup of luxury vehicles and to receive the white-glove service you demand and deserve.